I’m very excited to announce that I have a new project launching this summer: a historical mystery series. The first book, Murder in Greenwich Village, is going to be released on May 29, 2018. 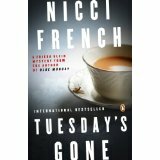 Kensington Books is publishing the series under my new pseudonym, Liz Freeland. The books take place in New York City in the early 20th Century, in the years before and during the First World War. The second book, Murder in Midtown, will be coming out in April 2019. But I shouldn’t get ahead of myself! If any of you are mystery buffs, and I know some of you are, I hope you’ll look for Murder in Greenwich Village, and follow my Liz Freeland Facebook page for updates. Making Spirits Bright, an anthology I contributed to a few seasons ago, is part of a Kobo buy-2-get-1 free deal for the next week. The novella I wrote for it is a sequel to Miss You Most of All. So if you’ve read that book and you’re curious about what happens to the characters, “Runaway Christmas” gives you a Christmas-themed glimpse into their lives. ‘Tis the season for sharing favorites. My TBR pile is one “Best Books of 2015” list from dooming me to an eternity of catch-up reading. It’s devilish the way these favorite lists tantalize me to hit the Buy button just when I’m supposed to be shopping for others. Holiday shopping always reminds me of one favorite of mine: Jack Benny’s Christmas episode, “Jack Goes Christmas Shopping,” featuring the usual gang, plus Mel Blanc playing a clerk who’s emotionally invested in his wrapping skills. Summer was great. I had tons of time to read and work on a fun new writing project. I edited a little. I traveled to Vancouver for a week and remembered how much I love the West Coast. My sister Suzanne adopted a puppy named Ethel (see banner). All good. But I’m always glad to break out the long sleeves again and welcome autumn. To me, it always seems like the real new year. It’s when I take stock, make resolutions and new schedules. It’s been decades since I’ve been in school—I’d be a forty-fourth grader this fall—but I still feel as though September is the time to start afresh. Bonus: the trees in my city put on a pretty good show this time of year. It’s a long weekend here in Canada, which always seems to mark the beginning of summer for us. 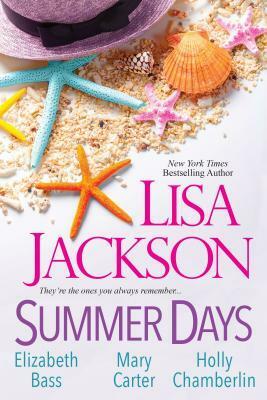 By coincidence, the ebook for the women’s fiction novella anthology Summer Days is being discounted most everywhere ebooks are sold. 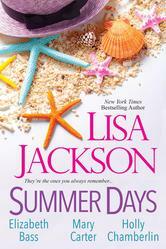 The book’s headliner is Lisa Jackson, but it also features the wonderful Mary Carter and Holly Chamberlin. I’m in there, too, feeling fortunate to be in such great company. 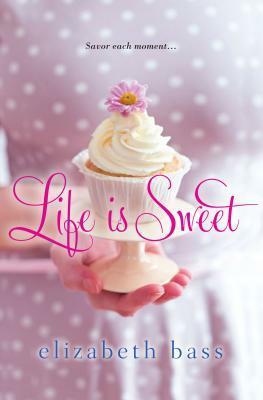 The ebook of Life is Sweet is being discounted at $2.99 at all the usual retailers all through the month of April! You can find it at Amazon, Barnes and Noble, and Kobo. 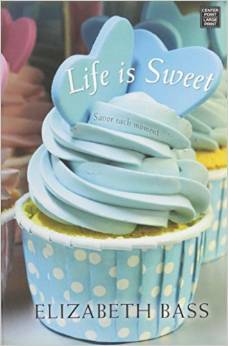 Just for fun, and because it looks so springy, here’s the large-print cover of the book that I discovered last week. 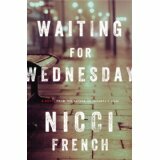 Here I am, halfway through Nicci French’s Frieda Klein mystery series—I just finished Waiting for Wednesday—and I can’t resist the need to vent. This husband-and-wife team has written some of my favorite single-title suspense books. I’ve been addicted to them since my sister brought back a copy of Beneath the Skin from a trip to England. But…Frieda. Frieda, Frieda. 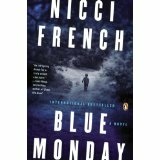 Frieda Klein is an interesting anchor for a mystery series. She’s a psychiatrist who desperately needs to spend some quality time on an analyst’s couch herself. She blunders into murders, her solve rate is 120%, and she’s stalked by a serial killer the police refuse to believe is still alive. She’s also blessed with an interesting posse of friends, relatives, and love interests who are devoted to her despite the fact that Frieda rarely answers her phone or returns email messages. (More on this below.) I imagine she’s as frustrating to know as she is to read about. Yet here I am, drumming my fingers impatiently for the chance to read the upcoming Thursday’s Children. The most frustrating thing about these books? The authors’ reliance on withholding information. This is one of my biggest pet peeves as a reader. Whenever I read the words “I can’t explain/talk/go into that now,” I start to twitch. Unless the character truly means she can’t. For example, if she knows the murderer is listening in. Or if a flight attendant is shouting at her to turn off her cellphone. Under those circumstances, okay. But this usually isn’t the case with Frieda and company. The authors spin the plot out by having characters not respond to each other, or put off responding. Two characters will be on the phone, a great way to convey information, but they’ll put off exchanging key information until they can meet in a cafe, or at the office. By the end of Waiting for Wednesday, this was starting to give me fits. I don’t know about you, but if I were dashing off to confront a serial killer and I called my friend to let her know what I was up to, I’d go ahead and ID the killer in a message instead of telling my friend to meet me later for tea so I could give her the news. But if I were about to rush off to confront a serial killer, I hope I’d have someone to call besides Frieda Klein, because Frieda never answers the phone. I’m still addicted to this series. I just hope that sometime between Thursday and Sunday, Frieda gets psychological help and communications counseling. Anyone else reading the Frieda Klein series, or another good series? What are your reading pet peeves?